Aru you looking railway jobs in south region???? If yes then here is latest news for you. Southern Railway Recruitment department recently issued notification for filling up 2652 Apprentice Vacancies. Applicants who are interested and also fulfill given below eligibility conditions may apply through offline. 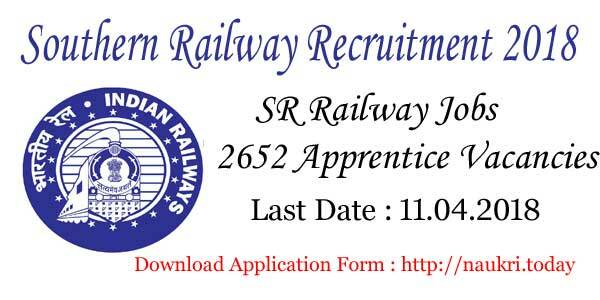 The SR Railway Jobs application available here or official site. Candidates should submit their Southern Railway Vacancy Application form before on 11.04.2018. Furthermore information of SR Railway Apprentice Recruitment you can collect through this full article. Southern Railway Recruitment advertisement for Apprentice vacancies available on below section. Applicants also download SR Railway Apprentice Vacancy application form here. This is golden opportunity for candidates who want to make career in railway department. All candidates are advise if they are interested for Southern Railway Apprentice Jobs, may download application form here. The last date of submit SR Railway Vacancy form is 11.04.2018. Furthermore details you should read our article carefully. What is the address of Southern Railway Apprentice Vacancy ? SR Railway Recruitment Criteria – What Is The Eligibility Criteria For Southern Railway Vacancies 2018 ? How To Check Southern Railway Apprentices Vacancy Application Fees, Selection Process & Pay Scale ? Fill Application Form of SR Railway Apprentices Job 2018 | What is the Enclosures of Southern Railway Recruitment 2018 ? Where To Send Southern Railway Apprentices Recruitment 2018 Application Form ? How To Check Application Fees, Pay Scale & Selection Criteria For Southern Railway Apprentice Jobs 2018 ? How Can I Fill Application Form For Southern Railway Recruitment 2018 – Apprentice Jobs ? Here you can also get Southern Railway Jobs Apprentice Trades. In below section you can check it. Interested applicants must check given below eligibility conditions before apply. It includes education qualification, age limit and other information. Southern Railway Bharti eligibility criteria is given on below topics. For Southern Railway Recruitment applicant should passed 10th or 10+2 examination. Candidates also have diploma in relevant trade. Furthermore information check SR Railway Notification 2018. Applicants should have completed 15 years for SR Railway Bharti. Candidates not be more than 24 years as on 12.03.2018. For Southern Railway Apprentice Jobs, upper age relaxation also applicable for reserved category candidates. Selection of the candidates will be made on the basis of marks obtain in 10th and ITI examination. The Southern Railway Department make merit list according to candidates qualification and aggregate marks. Furthermore check given below SR Railway Bharti notification. General & OBC candidates are need to pay Rs. 100/- towards application fees. The application fees of Southern Railway Apprentice jobs is not refundable. The fees postal order should be drawn in favour of the Work Shop personnel Officer/S&T Workshop, Southern-Railway –Podanaur, Coimborate –641023. Rest details refer official advertisement. Interested and eligible candidates should download Southern Railway Apprentice Application Form. The SR Railway Recruitment application form is available here also. To download prescribed for go to official site sr.indianrailways.gov.in. Visit on news and announcement section. Then go to Signal & telecommunication. Download Southern Railway Apprentice Recruitment Notification. Read it properly and the download application form. Fill all demanded information and then paste photograph. The SR Railway Vacancy Application Form duly attested by Gazetted Officer. Duly fill Southern Railway Jobs application form along with enclosures should send to given below address. Conclusion : Southern Railway Recruitment 2018 for filling up 2652 Apprentice Vacancies. Application who are interested for SR Railway Vacancy can download prescribed application form from above link. Candidates must submit their form before on 11.04.2018. Dear Friend, Are you want to career in Railway Department ??? If Yes, Then Here is a good news for you. Southern Railway Department has recently issued employment notification for 737 Apprentices Jobs. Candidates who are interested in Southern Railway Recruitment 2018 for Apprentices vacancy can fill application form. Applicants should apply through offline mode. Last date of filling up Southern Railway Vacancy Application Form is 23.02.2018. Further information about SR Railway Jobs 2018 you can collect from below article. Railway Department of India, Southern Region inviting application form for filling up Southern Railway Vacancies 2018. Interested candidates who are also eligible for SR Railway Vacancies can fill prescribed application form. Southern Railway Apprentices Jobs Application form is available here. You can download Chennai Southern Railway Recruitment 2018 form from here or official site. Other details like education qualification, age limit, application fees, selection process and how to apply is mention below section. Applicants who are looking eligibility criteria should read given below section. Here we are published trade wise education qualification and age limit details. You must check eligibility criteria before you going to fill Southern Railway Vacancy application form. More details you can collect from SR Railway Job Notification. Age criteria is based as on 23.01.2018. The minimum age required for SR Railway Apprentices Vacancy is 15 Years. Maximum age limit for Southern Railway Jobs is 24 Years. Upper age relaxation is applicable for 03 Years OBC category, 05 Year SC/ST and 10 years PH candidates. Trade & Category wise age limit for Southern Railway Apprentices Vacancies is mention below section. Fresher Category : For SR Railway Recruitment candidates should passed 10th under 10+2 exam scheme or its equivalent. Applicants should complete their education qualification in science stream for Medical Laboratory Technician post. Rest details you should read Southern Railway Recruitment Notification. Ex. ITI Category : Applicants should have passed 10th under 10+2 System of Education or its equivalent. For Southern Railway Apprentices Job participants also have ITI Course certificate in relevant trade recognized by Government. More details your should read SR Railway Apprentices Job Notification. Before going to fill SR Railway Recruitment Application Form, all of you advised that you should check other details. Applicants read about selection criteria, check application fees, Training period and monthly stipend. Details are mention below section of article. Male Aspirants of General and OBC Category have to pay Rs. 100/-. You should drawn your fees in the favour of Workshop Personnel Officer, Carriage and Wagon Works, Southern Railway, Perambur, Chennai – 600023 payable at Chennai. For Southern Railway Jobs SC/ST/PWD/Women candidates are not required to pay any application fees. Candidates selection will be made on the basis of merit list. Sothern Railway Jobs selection made with minimum 50% aggregate marks in Matriculation. For more details check official SR Railway Jobs Notification. Applicants who are selected for SR Railway Recruitment get a monthly stipend during training period. Year wise monthly stipend details are available on given below section. 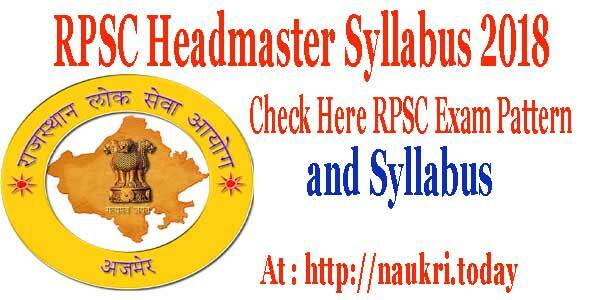 During Third year of Training candidates will get Rs. 7350/- per month. 3rd year salary DM will be Rs. 7550/-. For more you should read Southern Railway Notification. Interested and eligible participants should apply through offline mode. You should apply through prescribed application form. Applicants should download it through official site www.sr.indianrailways.gov.in or from here. Fill application form with all required details such as personal and educational. Paste photograph in photo section and then give signature in required place. Duly filled application form along with enclosures should send to given below address. Duly filled application form along with enclosures send to the address mention below. The envelop must prescribed as “Application for Engagement as Act Apprentice- Combined Notification No. 1/2017/Act/App/CW/Per”. Then send to the Workshop Personnel Officer, Office of the Chief Workshop Manager, Carriage and Wagon Works, Southern Railway, Ayanavaram, Chennai-600023 by ordinary post only. Conclusion : Southern Railway Recruitment 2018 for 737 Act Apprentices Vacancies. Apply Offline from 23.01.2018. You can send prescribed application form before on 23.02.2018. Check more details by using the above article. Dear applicants, If you are searching Railway Jobs then here is good news for you. Southern Railway Department has issued notification for filling up 624 Apprentice Vacancies. all the candidates who are interested in Southern Railway Recruitment 2018 for Apprentice Jobs can fill application form through mode here. Closing date for filling up Southern Railway Jobs Application Form is 21.02.2018. To get more information about SR Railway vacancies then read the below article. Indian Railway Southern Region is inviting application form for filling SR Railway Apprentice Vacancies. All the Candidates who have hold Respective Trade ITI Certificate they can apply application form for Southern Railway Vacancies 2018. Submission of application form for Southern Railway Apprentice Vacancies has been started from 22.01.2018. Rest of the details like Education, age, Pay Scale & Other is mention in below section. Dear Applicants. 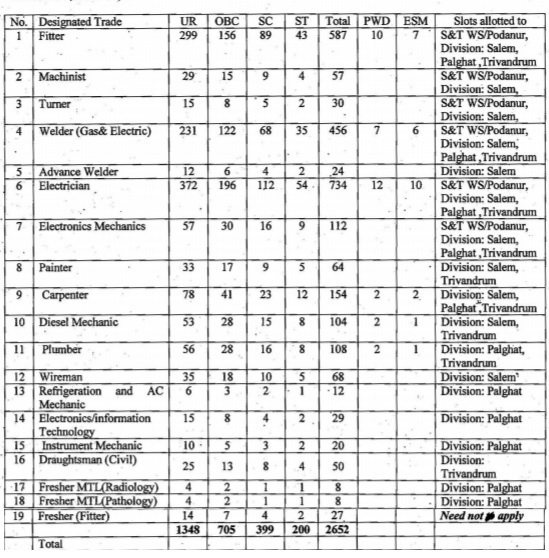 in this section we are providing Trade & Training Center wise division of Southern Railway Jobs 2018. Candidates can also check more information about SR Railway Recruitment From official notification. Applicants if you are going to fill application form for Southern Railway Vacancies & looking for Eligibility Criteria then read the below section. Here our naukri.today team is providing Trade wise required education & age Criteria for SR Railway Apprentice Vacancies. More information you can collect from official Notification. For ITI & Ex ITI Candidates : Candidates must have passed 8th/10th/12th with ITI In respective trade from any recognized Institute. 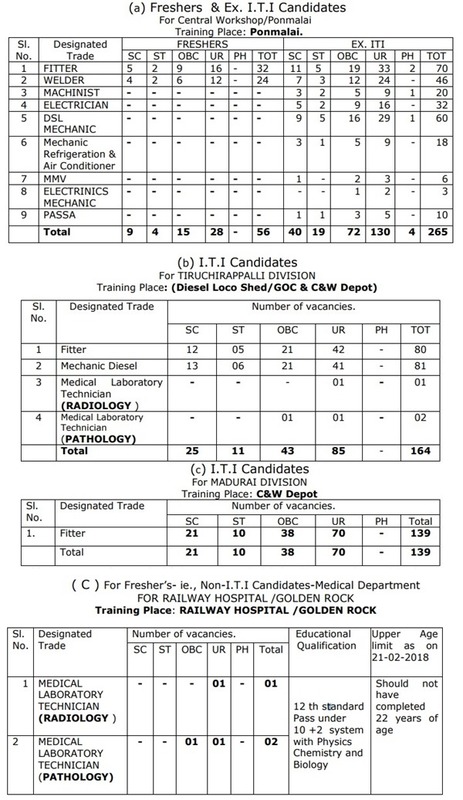 For Non ITI – Medical Department Posts : 12th passed with Physics, Chemistry & Biology subject. Age of the candidates must be not more then 24 years as on 21.02.2018. Candidates can check post wise Age Criteria for Southern Railway Vacancies from official notification. Relaxation in age is applicable as per department rules & regulation for SR Railway Bharti. Candidates need to pay Rs. 100/- as application fees for Southern Railway Recruitment through Postal Order. Fess must be deposit in Favour of Workshop Personnel, Southern railway, Golden Rock, Tiruchirappalli- 620 004. Selected candidates for SR Railway Apprentice Vacancies will paid per month stipend as per department norms. In the below section we are providing Post & Year wise stipend of the selected candidates for Southern Railway Apprentice Jobs 2018. Candidates will selected for Southern Railway Recruitment 2018 on the basis of Qualification Marks. Merit list will prepare on the basis of Marks obtain in 8th/10th/12th & ITI Course. More details you can check from official SR Railway Jobs Notification. Candidates, first of all log on to the official website www.sr.indianrailways.gov.in. Now click on News section >>Announcements >>> Golden Rock. Then read all the information mention in Southern Railway Apprentice Jobs Notification. Take a print out of Apprentice application Form. Fill all details properly in form. Attach your recent passport size photo & other documents with form. Deposit application fess & Attach a copy with application form. Now send the application form correct postal address. Conclusion : Southern Railway Recruitment 2018 For 627 Apprentice Vacancies. candidates can fill application form for Southern Railway Jobs 2018 on or before the last date 21.02.2018. Check more details by reading the above article.